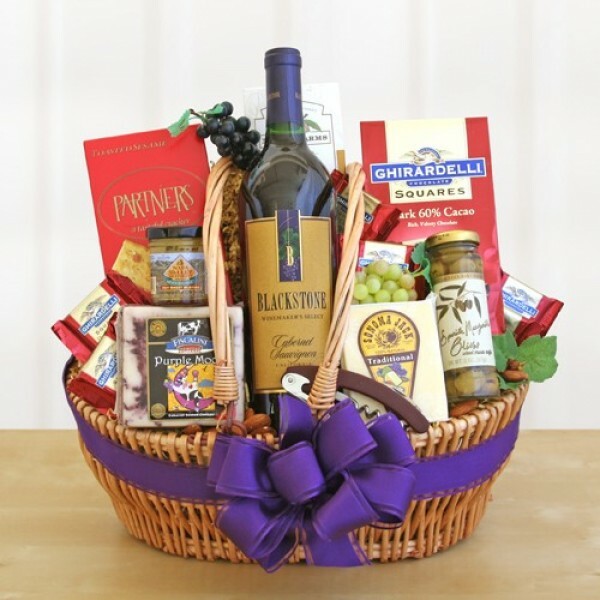 This delightful gift basket features everything needed for a classic vineyard gourmet picnic. A bottle of California Cabernet Sauvignon is ready to be opened and enjoyed along with crispy crackers, Purple Moon cheese, Napa Valley mini mustard, California olives, Sonoma Jack Cheese, Ghirardelli dark chocolate squares and nuts from the Central Valley. It's a little bit of California heaven in a basket!